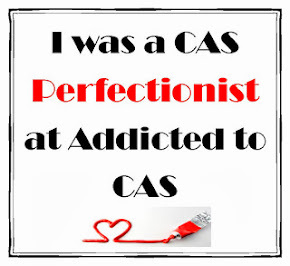 Yesterday I received my prize from the "Summer" challenge the other week at Addicted to CAS which had been sponsored by Joanna at Inspired by Stamping. They're an Australian firm who make such fantastic stamps I had a hard time choosing my prize! 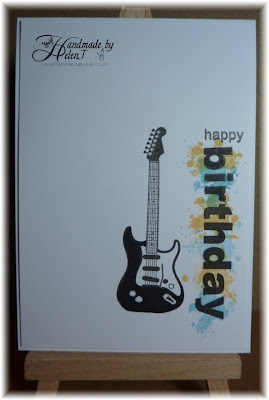 One of the things I chose was a set of guitar stamps which were perfect for making a card for a friend who is the lead guitarist in a band in his spare time. The "splodge" shapes which I've used to make the background behind the greeting came in the same set & I can foresee them being used frequently, they're really useful. 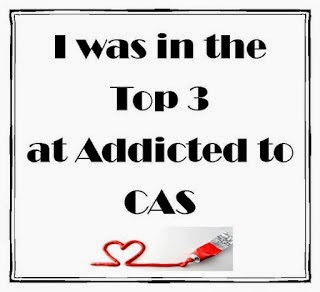 I'm entering this into the Addicted to CAS "Music" challenge & the Inspired by Stamping Customer Gallery challenge. 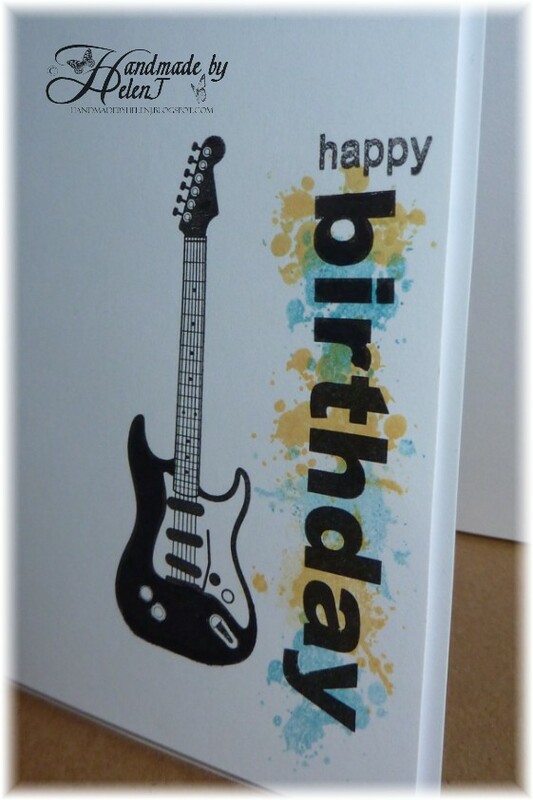 Great card for a music loving male. Love it! The coloure splodges look grat behind the bold sentiment - fab CAS design! Great male card :) love the pop of colour! Done:-) Thanks for the suggestion! Love it! Great layout and I love those splotches behind the sentiment. Such a great card!! Love how you positioned the sentiment and used the splotch stamps. Thanks for joining us at IBS! This is perfection! Love the splash of color and your great layout! Thanks for sharing with us at IBS.